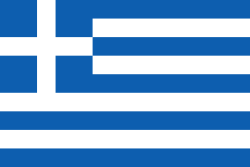 Greece and houses one of the greatest collections of coins, ancient and modern, in the world. The museum itself is housed in the mansion of the archaeologist Heinrich Schliemann, formally known as Iliou Melathron (Greek: Ιλίου Μέλαθρον, "Palace of Ilion"). Renaissance Revival movement as well as Neoclassicism, while the interior is influenced by the architecture of Pompeii. As a result, the rooms are decorated with mosaics and murals depicting either themes from the Trojan War or Greek mottos. In 1927, the widow of Heinrich Schliemann, Sophia, sold the building to the Greek State and it was subsequently used as the seat of the Council of State and later the Court of Cassation. View of the interior of the museum. Iron oboloi in the form of spit, uncovered at Heraion of Argos. Athena right / ΑΘΕ (ΑΘΗΝΑΙΩΝ - of Athenians), Owl standing right. Silver decadrachm from Syracuse, Sicily. Head of Arethusa left, four dolphins around. Hoard of gold coins from Epidaurus, 3rd Century BC. Gold and silver coins of Ptolemies. Gold coins of the Byzantine Empire. Mints of the Byzantine Empire. ^ Papyros Larousse Britannica, Athens, 2006 ^ a b "THE ILIOU MELATHRON". Numismatic Museum, Athens. Archived from the original on 10 April 2013. Retrieved 15 March 2013. ^ "Ιλίου Μέλαθρον". ΑΡΧΕΙΟ ΝΕΟΤΕΡΩΝ ΜΝΗΜΕΙΩΝ. Retrieved 15 March 2013. ^ "Ιστορικό". odysseus.culture.gr. Retrieved 15 March 2013. ^ Touratsoglou, I. "Numismatic Museum of Athens, Archaeology and Arts, March 1999" (PDF) (in Greek). arxaiologia.gr. Retrieved 17 April 2016. Wikimedia Commons has media related to Numismatic Museum of Athens.